Funeral Homes, Gift Card Message Ideas And More! 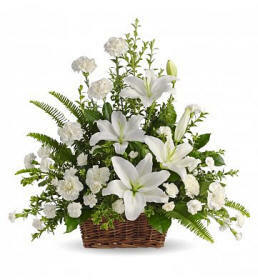 When a guest is unable to attend a funeral the next best thing to being there is by sending fresh sympathy flowers or a sympathy gift basket to the family. This is a way to send respects to the deceased and also as way to express sentiments to relatives and friends of the recently departed. 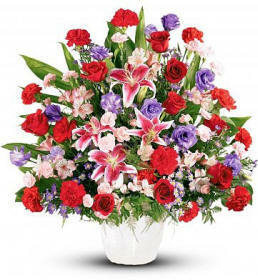 When selecting a sympathy flower arrangement one must consider the feelings of the survivors of the loved one. 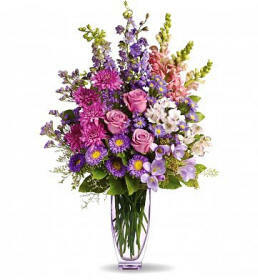 Our selection of flowers, and even sympathy gift baskets, are professionally designed to help you select the most appropriate and respectable flower arrangement or gift basket design. Whether it is a deceased business associate or a friend who has lost a spouse, or even the tragic passing of a child, we have many designs to choose from to help you make the right choice to express your sentiments during this difficult time. Is it is old tradition that when someone has passed away a sympathy wreath was placed on the front door of the deceased and the grieving family. Today there is a return of this tradition especially with the large variety of updated floral wreaths. 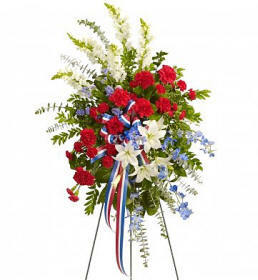 Sympathy flowers for front doors come in many types of styles and designs such as a standard wreath using Lilies and other types of flowers to a swag style using peaceful and elegant types of flowers that are intermixed with lush green ferns, deep green leaves to accent the flowers and even ivy. 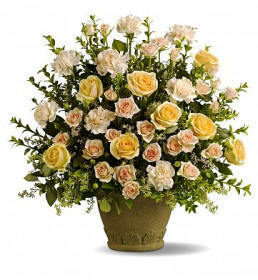 Beautiful floral arrangements in an elegant vase can also be used as a table adornment to add color to the home as well as show respect and appreciation for the person who has recently passed away. 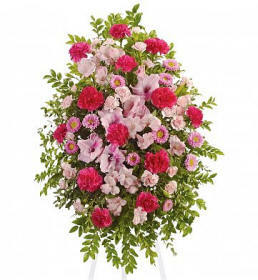 Of all the sentiments and emotions expressed and the reason for ordering flowers in general, sending sympathy flowers is by far the truest extension of a persons deep heartfelt kindness and love and offers a general respect for the family in mourning. Why Are Lilies Used At Funerals? The reason Lilies are commonly used in funeral services is not only due to their simple elegant beauty but they also exude a feeling of tranquility and peace. Symbolically, Lilies promote the idea that the soul of the person has returned to a state of innocence. They also symbolize birth, such as entering heaven. 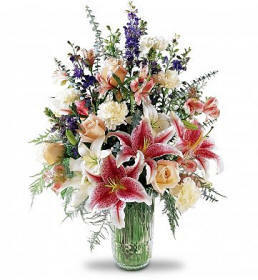 Because lilies come in such a wide variety of colors and shapes you need to be careful when selecting lilies for the funeral service, memorial service and even the celebration of life, as their colors and variety significantly changes the meaning behind the arrangement. 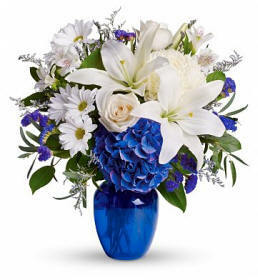 The most common lilies used for funerals are white lilies. For the family in morning and loved ones of the recently departed, Stargazer lilies are typically used to represent sympathy. 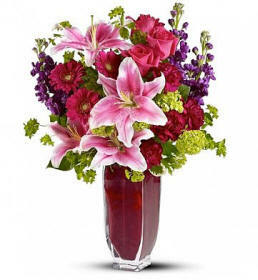 Oriental lilies symbolize eternal life, making them the perfect option at religious services commemorating the deceased. We appreciate you choosing Flowers N' Gift Baskets to send your sympathy wishes. We pride ourselves in using only the highest quality of fresh flowers and high quality gourmet ingredients and the freshest fruits available, as well as offering first class customer service and satisfaction throughout the entire process of ordering flowers and gift baskets online. Please note: Gifts N' Flowers is a resource only. We are not responsible for the acts of our vendors.